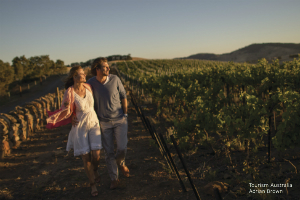 The best way to experience the Barossa Valley is on a guided tour. 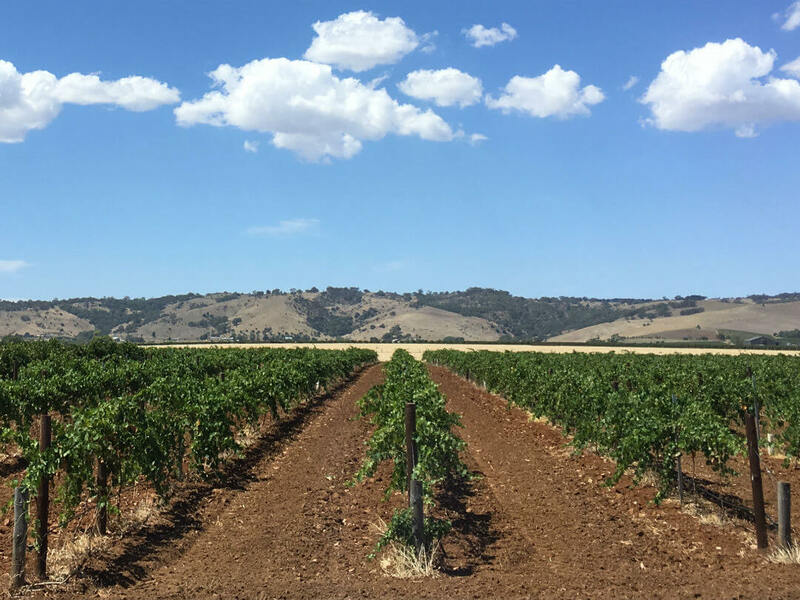 With over 13,000 hectares of vineyards and over 150 wineries through the Barossa Valley and Eden Valley an experienced guide will makes all the difference. Although wines are the primary reason to visit the Barossa, local produce, history and culture are also major attractions. Barossa Shiraz and Eden Valley Rieslings are the premier wines of the region, with new varieties now getting the recognition they deserve. Merlot, mataro and grenache are some of the reds while the whites such as semillon is beginning to rivalling the wines of the Hunter Valley, with viognier also beginning to get noticed. A long weekend with everything from indulgent tastings to wine masterclasses, showcasing the best regional food and wines. 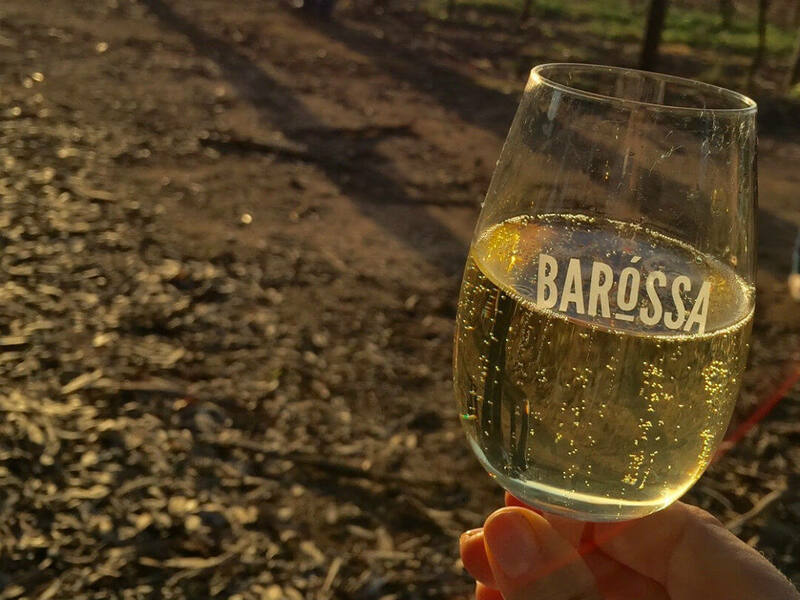 How did the Barossa get its name? It is named after the Battle of Barrosa in Spain in 1811. Colonel William Light, an Englishman, fought in the battle, and named the ranges, Barossa Ranges in memory of the battle he fought in. The name was misspelt when it was registered and that is why it is spelt Barossa and not Barrosa! 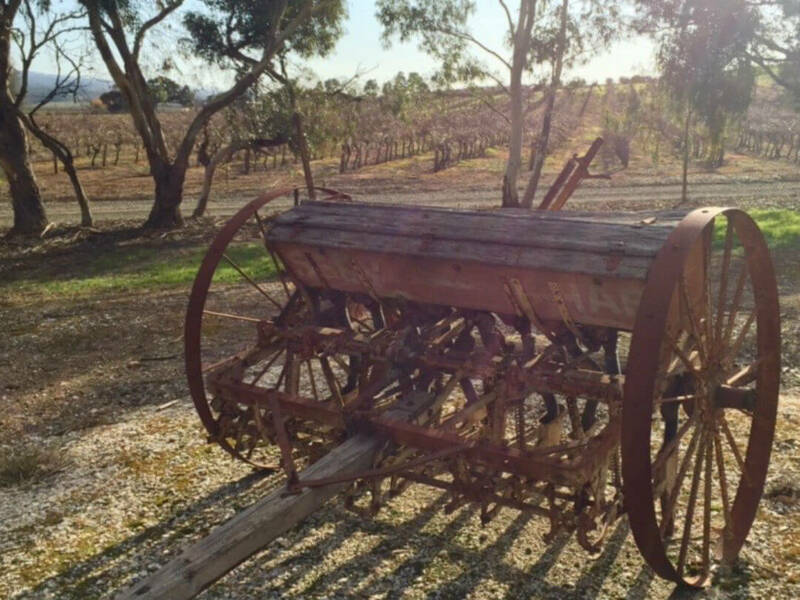 The Barossa started off in the 1840’s. Communities of Eastern Europeans with their distinctive culture and willingness to work hard, were the first pioneers. They loved wine and by 1929, 25% of Australian wine was produced in the Barossa Valley. A lot of the wine was exported to London. 2000 was the start of another oversupply of wine, large corporations suffered as their investors wanted returns, some disappeared, but once again the small to medium size producers survived and thrived. If you are interested in a tour that includes the wineries mentioned in this section click on the wineries name. Please read the itinerary carefully as some tours pass by, or offer as an option but do not stop at the listed wineries. All itineraries are subject to change. From a historical point of view Seppeltsfield, Yalumba, and Chateau Tanunda are some of the oldest wineries. Seppeltsfield is the only winery in the world to release a 100 year old single vintage wine each year. Of course the most renown is Penfolds located in the Barossa Valley, desired the most for its Grange. Jacob’s Creek is a name synonomous with fine Australian Wines with the vineyard dating back to 1847. There are many wineries, big and small that have a great cellar door experience each with their own history, charm and, of course, great wines. Turkey Flat is another old winery (1847) and has a lovely cellar door situated in the old Schulz family butcher’s shop, or Langmeils which dates back to 1842. If there is a particular winery that you want to visit try one of our flexible or private tours. From this lookout you will have a great vista of the Barossa Valley. The road from Tanunda and Angaston crosses the hill. There is also the Barossa Sculpture Park to see here as well. Stop here and have some fun! 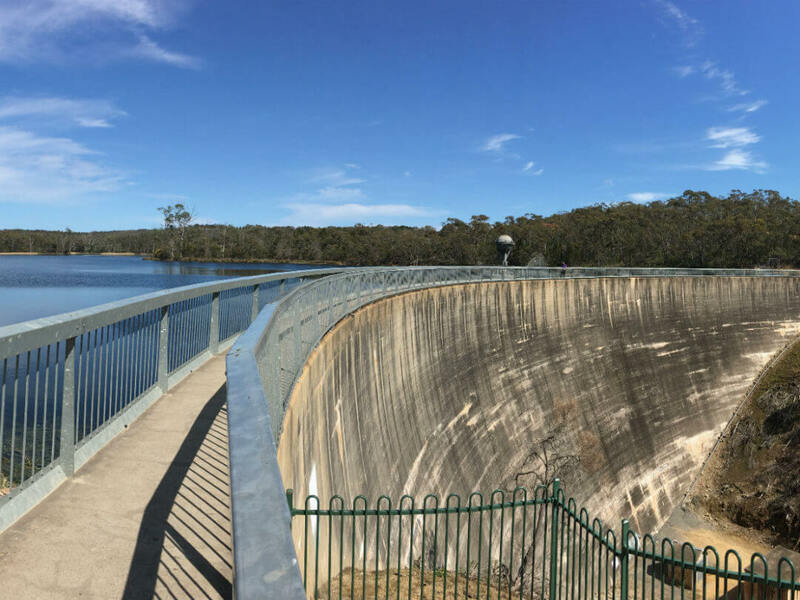 At the Barossa Reservoir you will find the thin arched retaining wall and it has secret powers! A voice can be clearly heard from one side to the other( 140 metres). That is how it earned the name “Whispering Wall”. There may have been a story about an old lady who lived in a shoe, but there is a true story of the family who lived in a tree and that is true! Make sure you visit Herbig Tree, the first home of the Herbig Family. As well as the wine local produce is also why people visit this area. 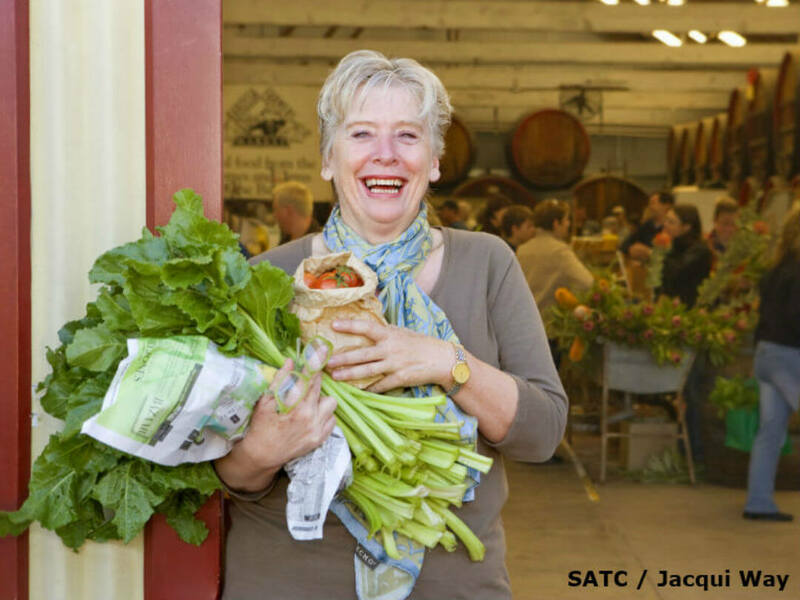 The one person who has done so much to put the Barossa and the produce on the map as well as the world stage, is the wonderful Maggie Beer. The Maggie Beer Farm Shop showcasing the spoils of the area and there are tours that visit her Farm Shop. A great day in the Barossa Valley enhanced by beautiful wines. 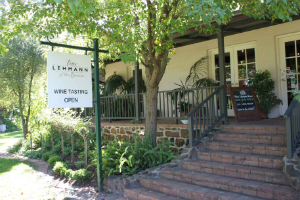 Visit a Chateau, famous cellar doors and have lunch at Peter Lehmann’s winery. Historic towns and lookouts are also part of this tour. This tour has a flexible itinerary allowing you to visit the wineries of you choice from the hundreds of excellent wineries in the Barossa Valley, or choose to allow you guide to surprise you with their favourites. 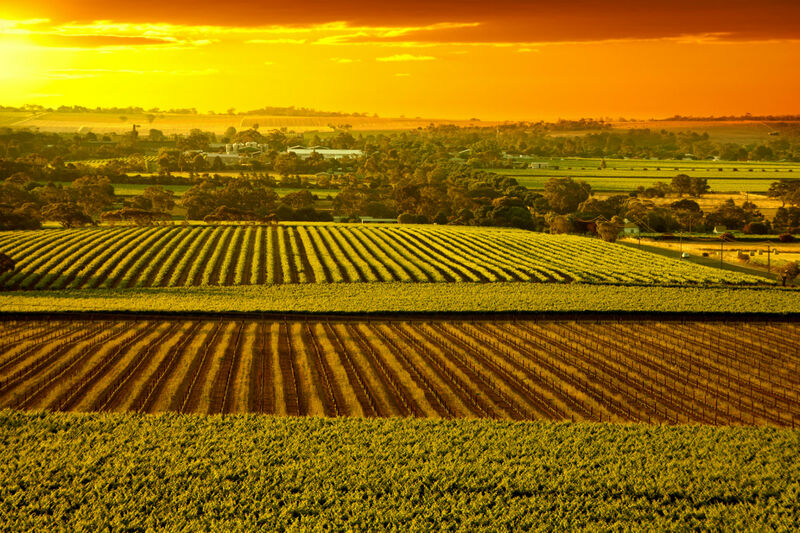 See the famous wine making regions of the Barossa Valley, Adelaide Hills and Hahndorf. Enjoy a two course lunch at Wolf Blass and a Penfolds tasting, with free time in the afternoon at Hahndorf. Learn the wine makers art.